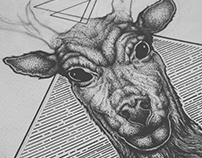 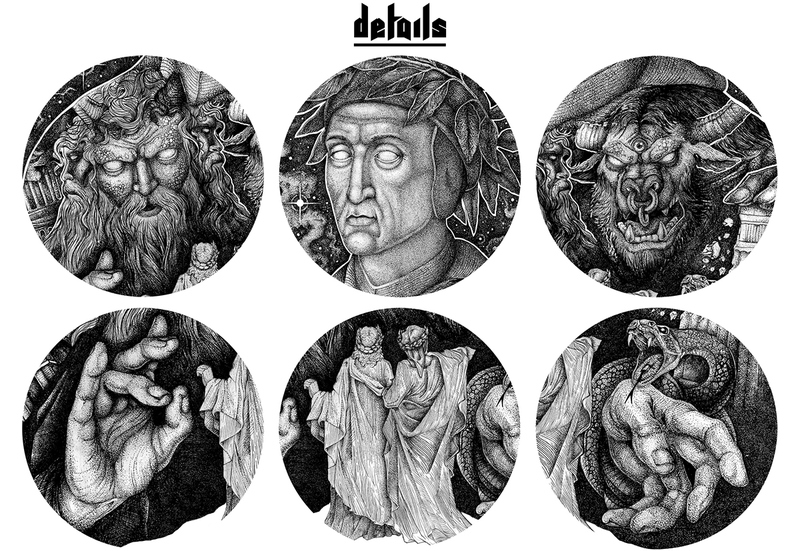 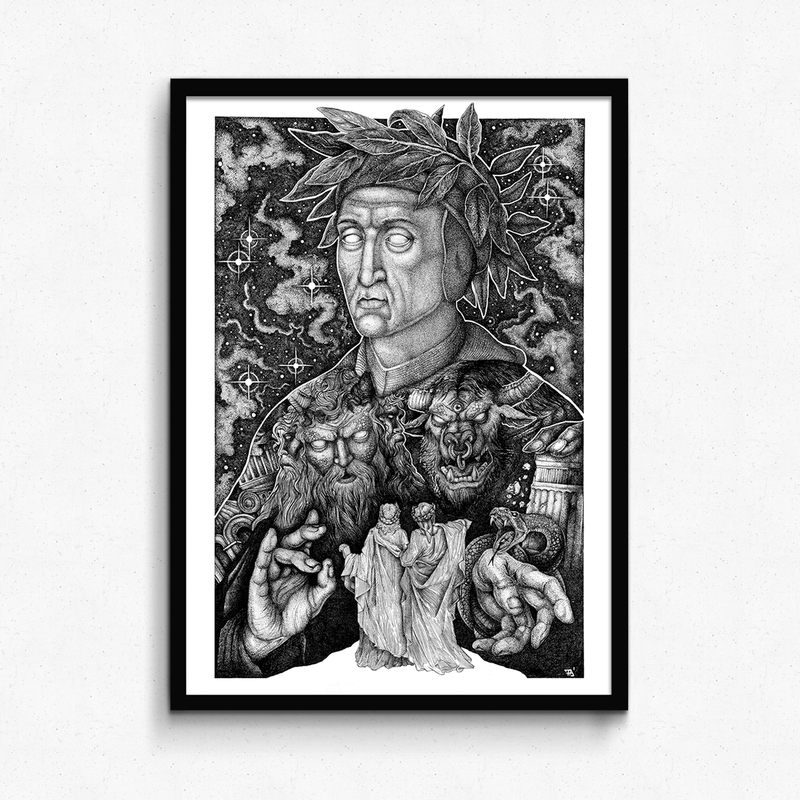 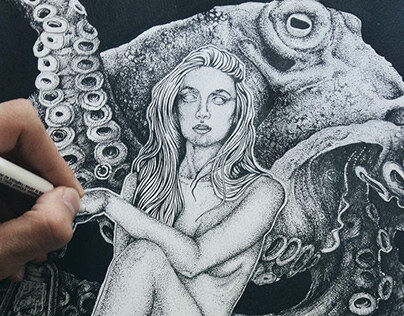 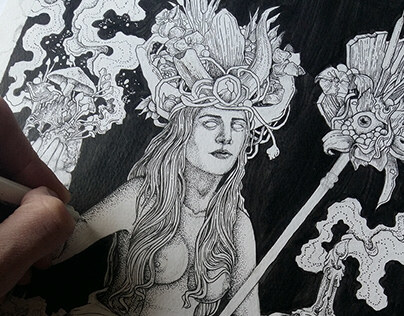 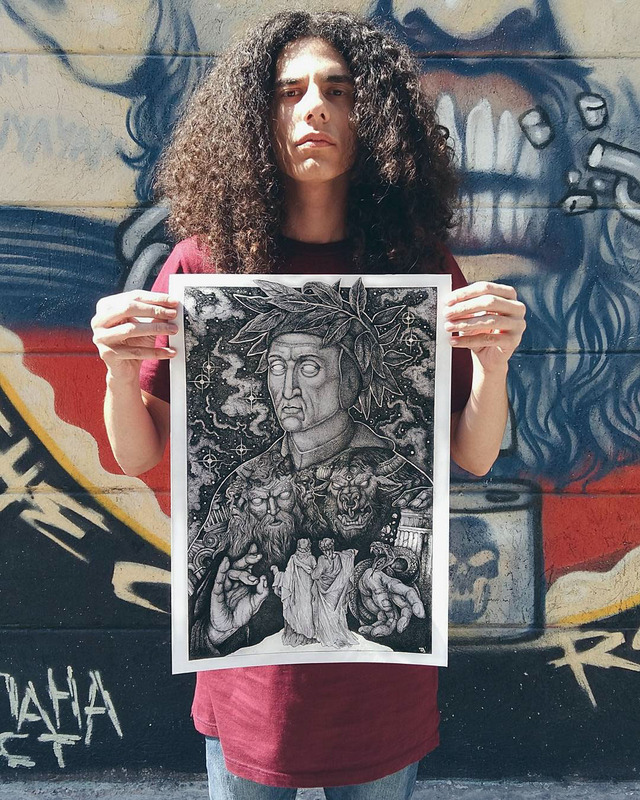 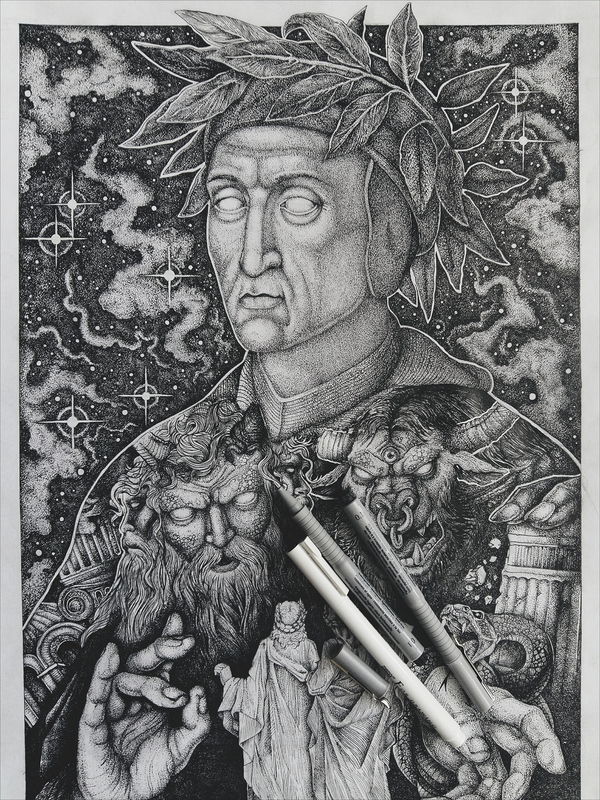 "Dante meets Lucifer and the Minotaur" is a dotwork illustration, inspired by one of the greatest works of world literature: Dante Alighieri's "Divine Comedy". The illustration represents and combines two of my favourite episodes. 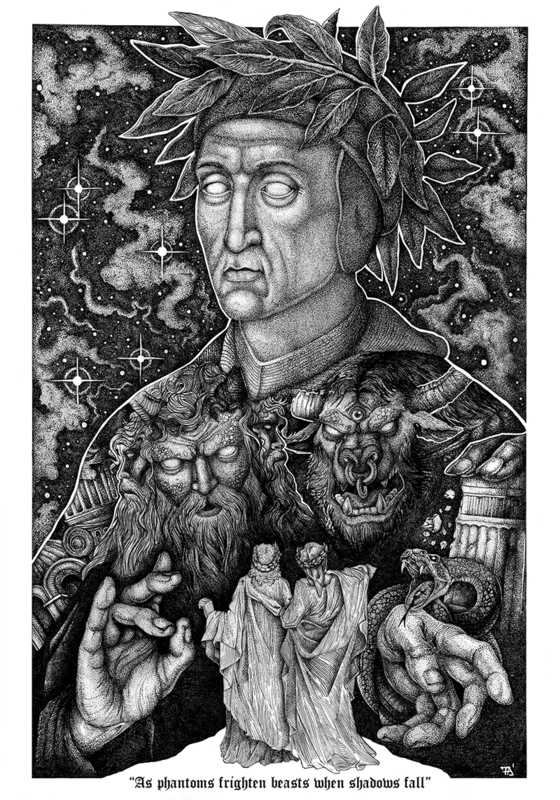 А reference with honor to the wood engravings by Gustave Doré, one of my all- time favorite artists. 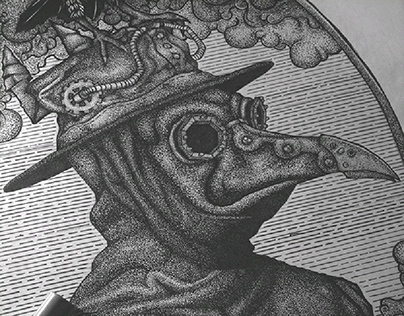 Personal project, 2017 Dotwork illustration for screenprinted apparel and silkscreen prints.